Let us come to you. The easiest and most convenient way to ensure that you keep your service history up to date and on top of your car repairs is to have everything you need done at home, the office or wherever else you happen to be. 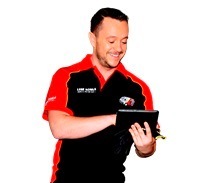 Our mobile mechanics are attending Seaford, Rosebud, Dandenong and Mornington. We are everywhere and everywhen you need us to be. Lubemobile is Australia’s #1 fleet of mechanics servicing and repairing vehicles all over the country with over 1,882 vehicles attended to in your local area alone over the last 3 months. Regular vehicle services and jobs around your area have included Log book servicing. Our specialists have what they need to complete a full service and repair at your chosen destination including tyre replacement and specialty tyre related repairs, clutch adjustment and blown head gasket replacement. Servicing and repairing all makes and models, we arrive where you want us with what we need to get the job done. Holden, Toyota and Ford are all attended to on site at the best time that suits the vehicle owner, not the mechanic. Cutting out the workshop saves you valuable time and money in travelling and arranging alternative transport for a schedule that fits with your mechanic. In your local area our mechanics have already completed on the spot services and repairs for Proton, Mercedes and Daihatsu. As a mobile mechanic, your specialist has what they need to complete your vehicle’s repairs and service on time. Using only quality parts like water pump, centre bearing and spark plugs your repairs are completed on site without the need for follow-ups or trips into the workshop at all. 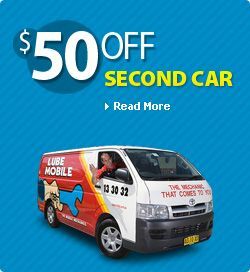 Keep your service history up to date on your Ford or Hyundai with the 38 Lube Mobile mobile mechanics in Mornington Peninsula who arrive on time and with what they need to complete high quality repairs and service work on your vehicle. With over 38 positive reviews already, it’s small wonder Lubemobile have maintained a reputation for excellence by providing industry leading service. Get rid of the hassle of dropping your car off at a workshop and enjoy the flexibility of having your vehicle looked after where you need it to be. Book your on site service today and become another happy customer who have already experienced great services.